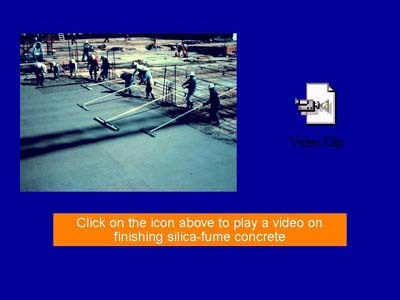 This slide links to a video in Video for Windows (AVI) format. This video may also be found in the videos folder on the SFA CD. In addition to the Video for Windows format, the CD contains the same video in QuickTime and RealPlayer formats. See the Readme file for more information regarding the videos and how to obtain viewers for any of the formats. QuickTime is a trademark of Apple Computer, Inc. RealPlayer is a trademark of RealNetworks, Inc. Video for Windows is a trademark of Microsoft Corporation.